The Anfi Group’s brand will be represented in more than 250 races worldwide over the next twelve months and will feature prominently in the Tour de France, the Giro d’Italia or the Tour of Spain. The logo will be displayed on the jerseys and bikes of the Saxo Bank cycling team. 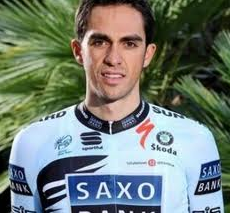 The main attraction of the Danish squad is team leader, Alberto Contador – triple champion of the Tour de France and one of the most popular media sports stars of the moment. Contador will join his fellow teammates during the first stage of the collaboration between the Canarian company and Saxo Bank next January, when the squad, led by Bjarne Riis will stay in Anfi Group accommodation in Gran Canaria. During the two-week visit the cyclists will follow an intense training programme followed by a second equally gruelling training programme that will take place next November, according to the agreement signed by the both parties. Jose Luis Trujillo, Anfi Group CEO, said that "this new promotional campaign represents our continuing support for top level sports without, of course, forgetting our ongoing commitment to the various social actions which we support." This mutual collaboration is "a way to consolidate the Anfi brand and promote its international image." Bjarne Riis, team leader, said “This, together with the temperate climate during the winter months and the varied landscape with many different alternatives routes fits perfectly with the needs of a professional cycling team. "